With up to 2 Gbps bandwidth per port, the ProSafe Plus 5-Port Gigabit Ethernet Switch from Netgear is a viable networking solution for data intensive environments. 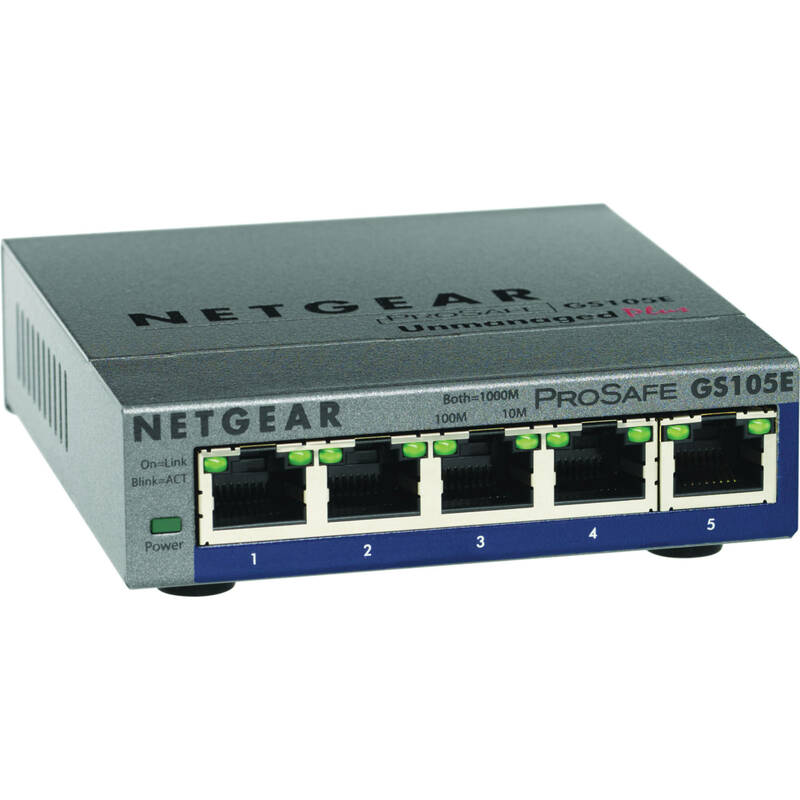 With simple setup procedures and plug-and-play functionality this switch can be easily integrated into existing network configurations to avoid downtime. Once configured, built-in QoS (Quality of Service) management ensures applications receive the necessary bandwidth to perform at optimal efficiency. Additionally, this ProSafe switch supports the 802.3az Energy Efficient Standard providing maximum power savings. Box Dimensions (LxWxH) 9.4 x 6.1 x 2.5"